Are you ready to make 2019 the last year you commit to weight loss? The last year you commit to weight loss because you finally find the strategies that not only help you lose weight but more importantly, keep it off! This is exactly what happen in 2018 with my client below! 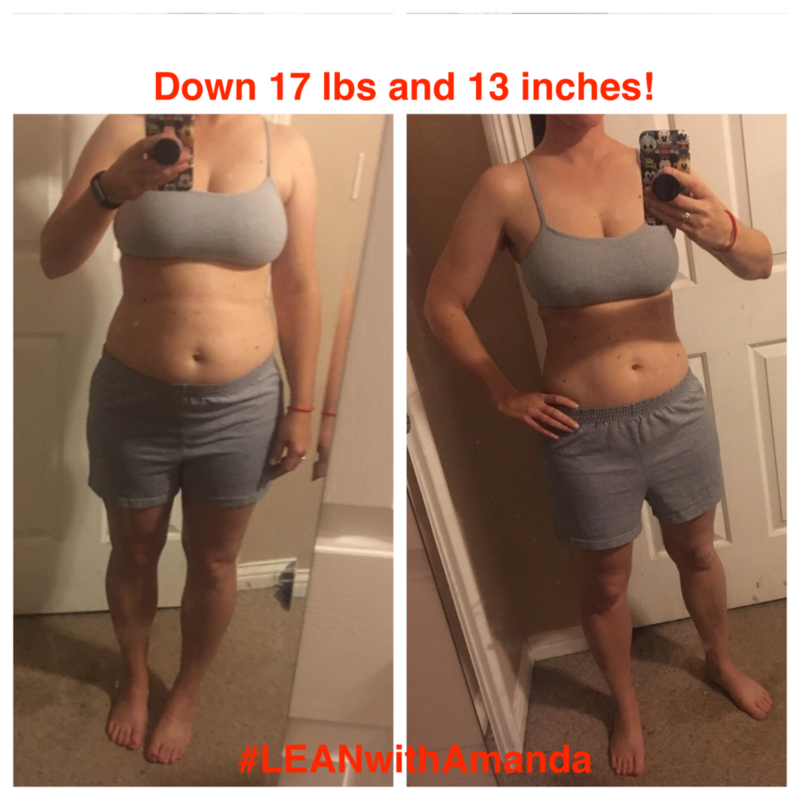 Read more about her transformation below! January 1st It’s that time of year when we are all regretting our unhealthy choices for the last two months and feeling the need to get BACK ON TRACK! For many it is when we pledge to eating healthier, increasing our exercise and losing weight! Many commit to crazy, unrealistic restriction in order to quickly undo the damage from December. Then find themselves right back where they started a few weeks later! Research shows the most successful dieters -- those who lose weight and keep it off for the long haul -- practice healthy eating and exercise habits all year long. They don’t subscribe to crash diets, they ditch the all or nothing mindset and they understand that changes requires time a patience. They don’t have New Year’s diet resolutions because they don’t make big promises that are impossible to keep. So keep that in mind as you begin your journey to better health this year! Consider small changes that are manageable and sustainable! Avoid over restriction and absolutes because in the long run those will never work! Whether it’s the first week of January or last week of June, there’s no time like the present for new beginnings. My goal in the programs I run is to teach you sustainable changes you can do FOREVER! We focus on progress NOT perfection! We learn about balance and moderation with macro management! There are no foods that are “off limits”. We regulate our hormones and cravings with the daily fasting and we set realistic exercise goals with workouts that are quick but efficient! Because of this my clients see long term results! because of this my clients are able to keep the weight off! A prime example of this is my client Terri!! 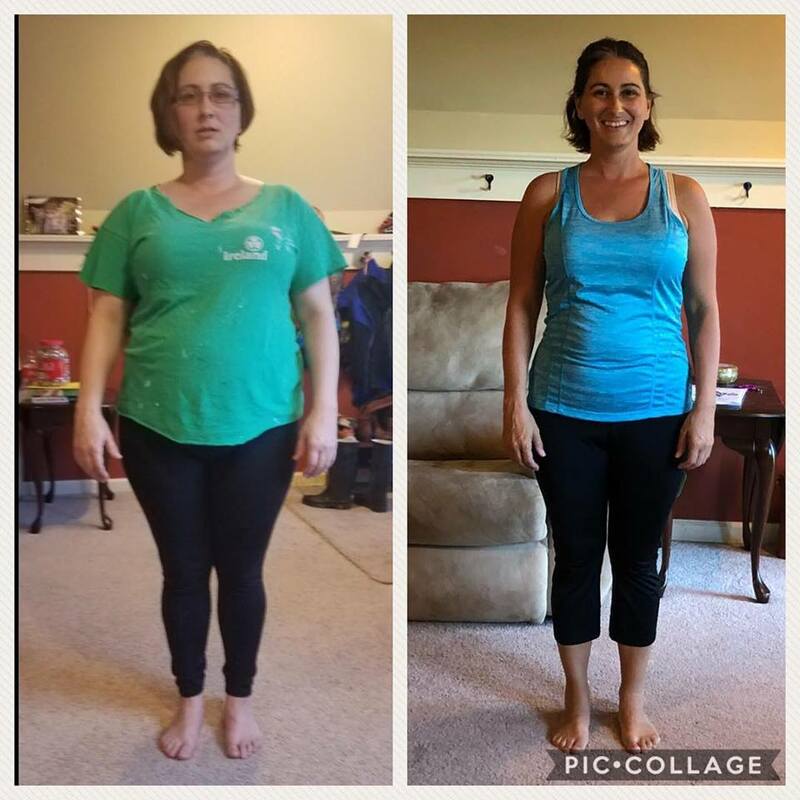 Terri started her weight loss journey at the beginning of 2018! Prior to implementing these lifestyle changes she was eating “clean” and exercising MOST days but just not seeing any major progress! She was frustrated and ready to give up! But luckily she didn’t! She decided to start working with me and over the course of the next year she finally made progress. MAJOR progress! We made small changes in what she was eating, we changed WHEN she was eating it and then incorporated HIT interval training and strength training into her exercise. 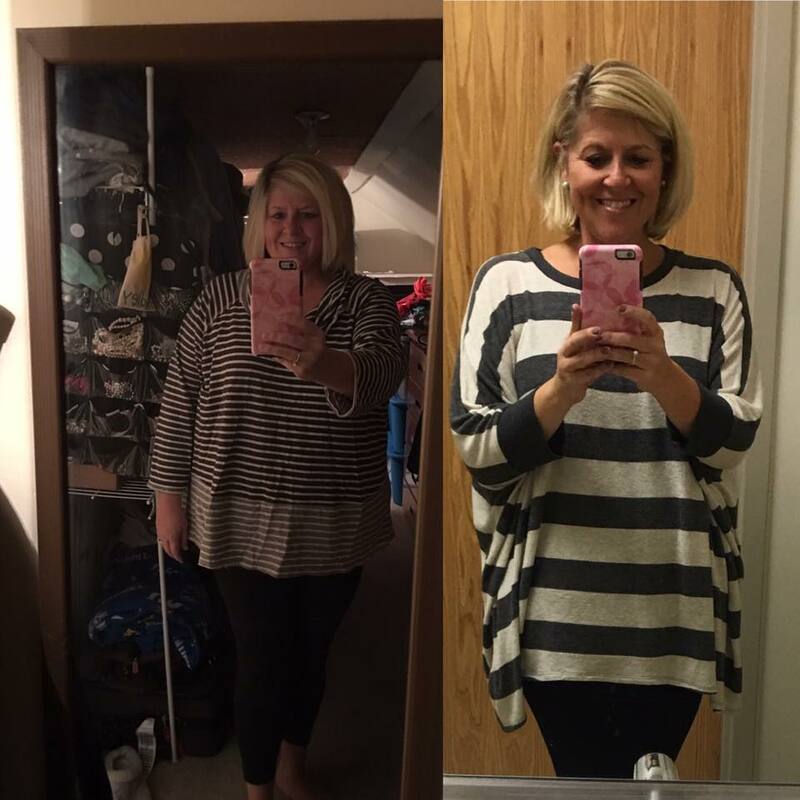 With these small changes she began to see MAJOR results! Her transformation in just one year is remarkable and is clear to see in her before and after photos. I can’t tell you how many times I have talked with someone who mirrors her story. You are working hard to eat healthy and “clean”. You are putting time at the gym every week BUT you are just not seeing results! Another popular story I hear is from women who can’t lose weight because of poor thyroid function or no thyroid at all, PCOS, premenopausal or menopause! They too are eating healthy and trying to exercise with no results! Honestly these clients are my FAVORITE! They already have the healthy foundation and they are working hard! All I have to do is make some small tweaks, teach them about intermittent fasting and switch up their exercise, manage their macros and they FINALLY start to see the scale move! 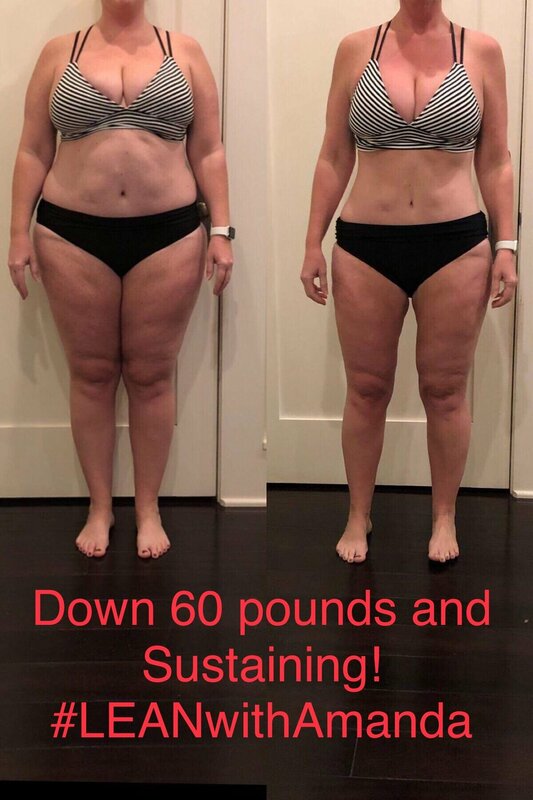 These results are not just limited to this client! This story is repeated over and over in so many of my clients! 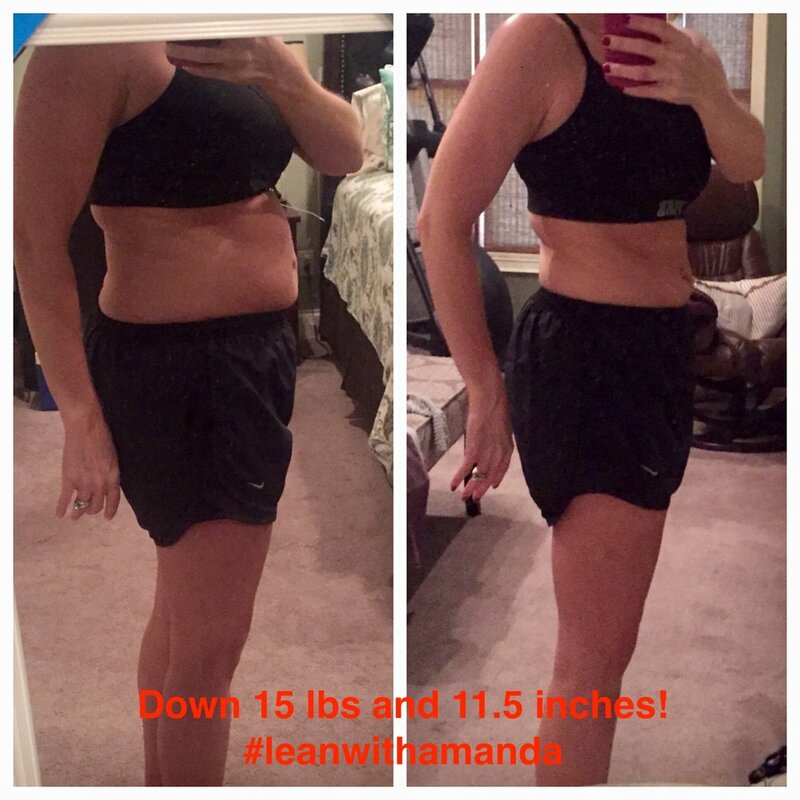 Check out more LEAN transformations below! Can you relate to the stories above? Have you been doing what you thought you were supposed to do BUT still see no results? If this is you then I promise this is the program for you!! I promise that I can show you how to see long term results WITHOUT deprivation! WITHOUT crash diets! WITHOUT killing yourself in the gym! Save your spot for my next session before the are all gone! More info the the link below! Check out this FAQ to answer all your questions! 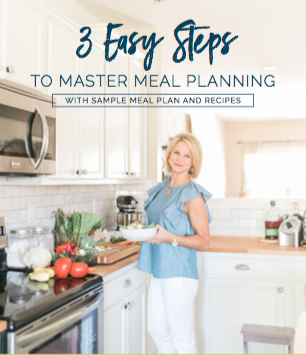 The Importance of Meal Prep and One Yummy Chicken Recipe You Will Want to Add to Your Dinner Rotation!